Today’s construction simulation software systems have taken the concept of a building information management platform and extended it so that all the ramifications of a construction project can be virtually mapped out. In the construction and engineering sectors, that’s important, because the majority of construction projects have a significant impact on the humans who have to live and work inside and alongside new constructions. 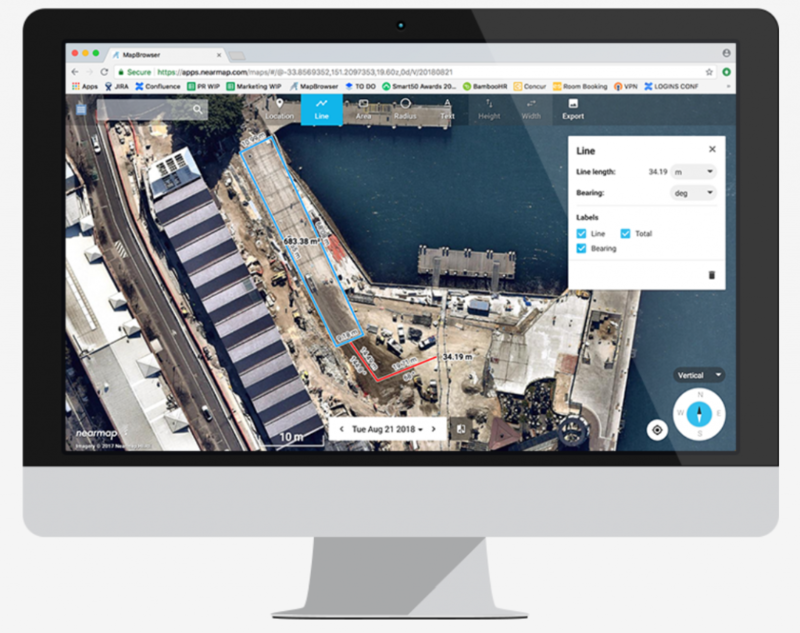 A company in Australia that knows this more than most is Nearmap, whose digital offerings are very much oriented towards the human experience of construction; their credo is, for example, more directed at live-able cities than so-called “smart” cities. How is Nearmap driving that change in attitudes forward? There are several answers to that question, but first, we need to look at a combination of breakthroughs in technology that have touched all our lives. The combination of GPS (global positioning system) and freely-available mapping data (from Google, Bing, OpenStreetMap, or similar) has changed the way we look at the world – in a very literal sense. Not only can we virtually swoop over any landscape on earth (and some beyond), but because of GPS’s ubiquity, we need never get lost again on even the most complex journey. The first GPS systems arrival back in the 1980s showed up an issue which has not been solved to any particular degree to this day. When the first global positioning data became available around 40 years ago, it was determined that many of our maps (then printed on large sheets of paper) were inaccurate to a surprising degree. Even today, the maps provided by, for instance, Google, are variable in their accuracy. Outside urbanizations, tolerances are around 15 meters – less so in urban areas, but nevertheless, remaining nonviable for serious use in construction projects. Plus, of course, Google, OpenStreetMap and the like don’t or can’t keep their maps and aerial imagery right up to date. 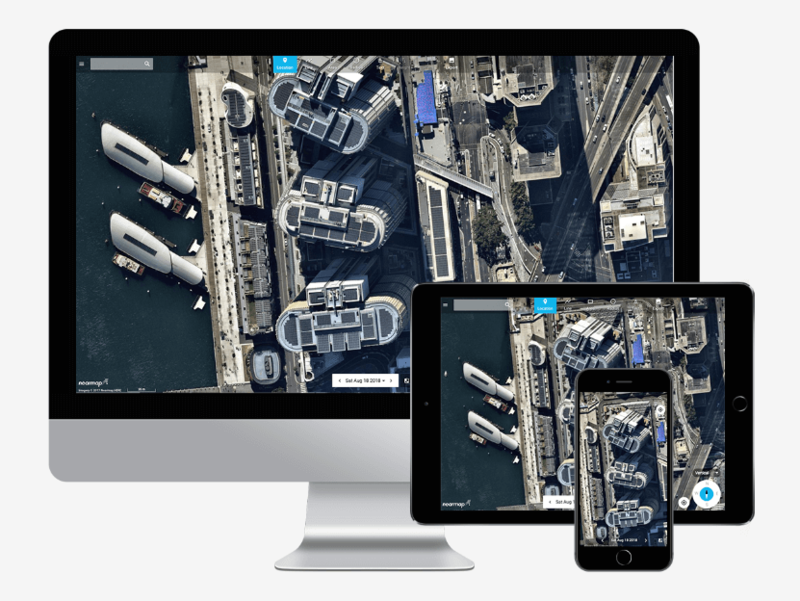 It’s here that Nearmap takes up the mantle. Not only are its aerial images highly detailed and accurate down to the level of bare centimeters, but the company also offers oblique aerial views (as opposed to purely vertical imagery). Nearmap’s high-res oblique images are used to construct detailed reality models that allow you to view complete construction sites in 3D, useful where perhaps buildings, trees or other impediments might block the view from vertical photography..
Vertical and oblique images can be accessed through the provided interface (and there’s API access too) if you need to feed your existing CAD or GIS application the most accurate, up-to-date information. The company refreshes its image libraries up to six times a year with regular flights providing a stream of new pictures. Its imagery, therefore, is perfect for providing overviews of ongoing project progress. If required, older images are included as part of your Nearmap subscription; even ten-year-old data can be leveraged. Continuing the 3D theme, Nearmap’s offering also includes 3D modeling data (textured mesh, DSM & true ortho) of the six main city areas in Australia – Sydney, Melbourne, Canberra, Adelaide, Perth, and Brisbane – meaning that any construction project can be created as a digital twin of reality. In non-technical parlance, this means that you can emulate how any project might take its shape and form in any context before ground is broken. Alternatives and what-ifs can be laid out and attenuated so that when the project proper is ready to begin, fewer unknowns and pitfalls are awaiting you. Nearmap’s offerings is therefore able to lower costs and overheads right from the first deployment, significantly. Whether it’s quick and accurate roofing quotes or massive construction project monitoring or modeling, Nearmap’s platform is one that’ll be an integral part of your technological tools for construction or engineering at any scale. The company is passionate about live-able construction, and its human slant is very much in evidence in all its offering – this is construction software for use by humans, for very human results. All stages of a building project bring their challenges, risks and, therefore, potential costs. You can lower the chances of costly overruns and missteps at every step with accurate, intelligent 3D and aerial data. To learn more about Nearmap, and how the company can help you take out many of the unknowns from your next project, get in touch.